Women are more likely than men to consume and share news on social media. 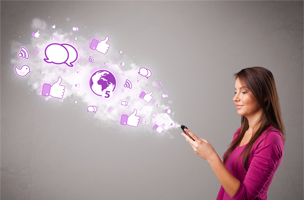 We already knew that women use social media more often and in more ways than men do. 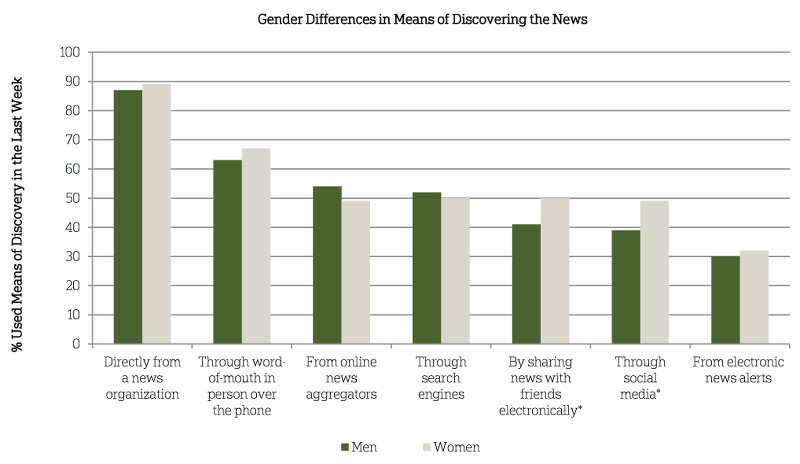 So it may come as no surprise that women are more likely to get news from social platforms. According to a new study from the American Press Institute, 49 percent of women said they got news through social media, compared to 39 percent of men. Women are also more likely to share news through social media, text or email compared to men. The study found that men prefer to turn to more traditional news outlets like cable and radio. Unsurprisingly, young people were also more likely to get their news through social media. Seventy-one percent of 18- to 29-year-olds reported that they got news through social channels, compared to 64 percent of 30- to 39-year-olds and 41 percent of 40- to 59-year-olds. Thirteen percent of all 18- to 29-year-olds said that social media was their preferred means of discovering news. For the full report, head to the American Press Institute.